The Discovery Center helps fine motor development, gross motor development, multi-sensory experiences, music and movement, creativity, math, science, and language grow in ways that children will enjoy. This play set has so many activities no child will get bored! It also has a handicap accessible area by the bench and art table so that nobody will be left out. The Discovery Center helps fine motor development, gross motor development, multi-sensory experiences, music and movement, creativity, math, science, and language grow in ways that children will enjoy. 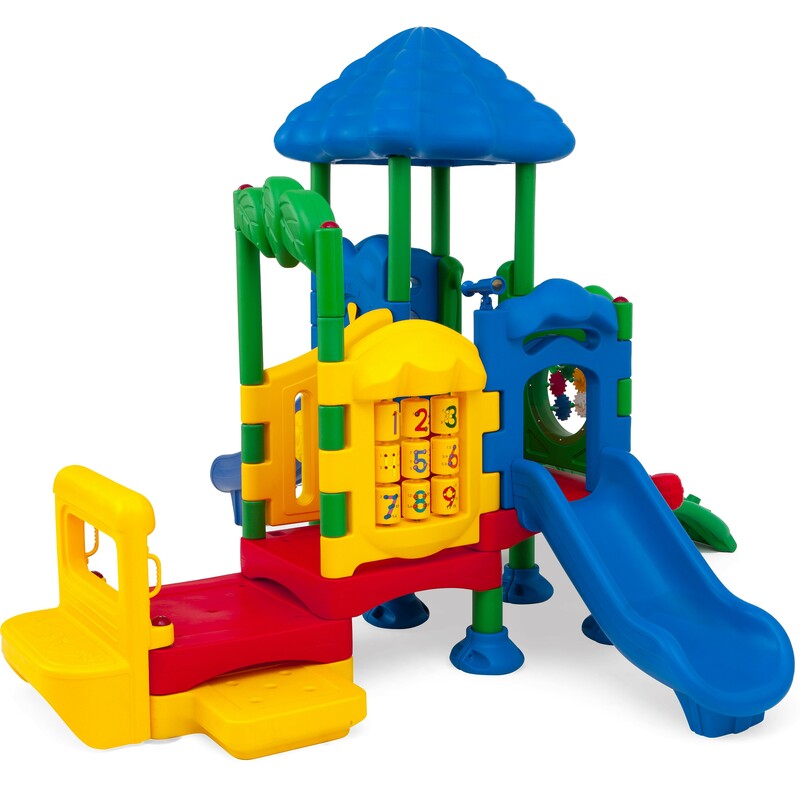 These commercial play sets are perfect for day cares or other Child Development Centers. The kids will love playing with their friends on this play set! This play set comes with two different length slides, a gear panel, a bench seat with an art surface, semi-private areas, a TouchMath panel, a clock panel, bongo drums, rain wheel, telescope, and a climbing wall. Mounting options sold separately. Deck Height: 1' 3", 1' 10.5", 2' 6", 3' 1.5"